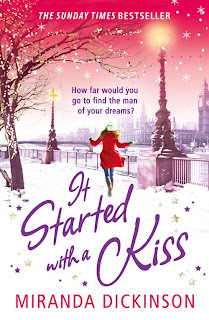 Thank you Miranda for the opportunity to read It Started With a Kiss. Congratulations on the book entering the Sunday Times Bestsellers list at number 13 - very well deserved!!! It Started With a Kiss ...but will it end with love? What a book! This truly is the ultimate tale of fate and destiny. A complete fairytale; a lot of girls will recognise this fantasy. I was hooked from the very first sentence, and that addiction didn’t relent until I’d turned the very last page! Some books just grab you, reel you in and hold you in suspense and it isn’t until you’ve finished that you realise you’ve been holding your breath. This is one of those. The set list that Miranda Dickinson has accompanying this book is perfect – it fits with the storyline of the wedding band and it works perfectly to add that perfect touch to the perfect book. I was torn between the real world Charlie who she knew and dreamland ‘Phantom Kisser’ and constantly changed my mind throughout the book. I was truly concerned that I’d be sorely disappointed with the ending, but once again I should learn not to doubt the authors that provide me with such wonderfully heart-warming stories. The ending is perfect. It wasn’t predictable for me, the twists and turns are perfect and revealed just at the right moment! I loved the modern-ness of this book – Romily blogs in it and twitter features, a popular activity for many people nowadays and this adds depth and reality to the book. Auntie Mags and Uncle Dudley are great characters to look out for, and all the mention of cakes made me hungry! Despite Romily’s search lasting the entire book, it didn’t drag at all. Dickinson held my attention from start to finish, made me well up a few times and left me feeling warm and fuzzy inside. 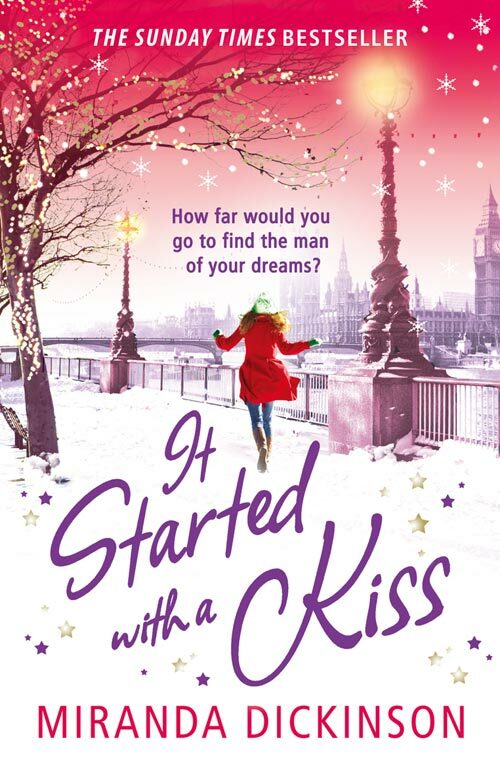 This is the ultimate romantic book for Christmas. My only concern as I put this book back on its bookshelf is – Do things like this only happen in books and films? Can real life people experience such a fairytale whirlwind?! Miranda also blogs, and even more impressively vlogs at Coffee and Roses. In each episode Miranda shows what's been happening in the writing/editing process, answers questions about anything from viewers and gives exclusive insights into what she's working on at the moment. Miranda's talents don't stop at writing. She has the most incredible voice - you can listen to her music here. Miranda has a debut novel coming out soon - About Time - I can't recommend anymore highly that you should take a look!